Thinking of selling a commercial property, a multi-family or other investment property and buying a retirement home or a second home in the mountains or where the weather is warmer? With a little 1031 tax-deferred planning, you could be retiring to a home in a destination of your choice by deferring and/or excluding all or most of your capital gains taxes. The increase in property values has given investors large equities in their properties thus subjecting them to higher capital gains taxes on the sale of such properties. Consequently, investors are using 1031 tax-deferred exchanges in order to defer paying capital gains taxes by purchasing other investment properties, which later may be used as retirement homes or second homes. Internal Revenue Code (IRC) Section 1031 allows a property owner, who holds property for “the productive use in a trade or business or for investment”, to defer paying any capital gains taxes if a property owner sells such property, identifies like kind property within 45 days of the sale, and acquires other like kind property within 180 days of the sale. While these time constraints and an active real estate market can make it difficult for a taxpayer to find and close on a replacement property, there are other options available to investors. The IRS has issued Revenue Procedure 2000-37 which allows a taxpayer to perform a “reverse exchange.” Reverse exchanges allow a taxpayer to acquire the new property (the “replacement property”) before selling the old property (the “relinquished property”). This creates greater flexibility for investors who do not want to pass on a great investment opportunity before they have sold or even listed their relinquished property. Reverse exchanges are more complex and require more planning, but also provide greater opportunity to secure the investment you’ve been hoping for. Like kind property includes all real estate; that is, any type of real estate may be considered “like kind” to any other type of real estate. If both the relinquished property and the replacement property are used for investment or business purposes, then a three-family rental property may be exchanged for a single or multi-family home on Cape Cod, in Florida or both. However, any replacement property needs to be held for use in a business or for investment (i.e. rented) for a period of at least two weeks a year for two years in order to qualify for tax deferral treatment, and personal use of the property should be limited to no more than the greater of fourteen days or ten percent of the number of days that the property is rented. The new Cape Cod or Florida home can later be converted into a vacation home or a retirement home. There is no bright line rule which provides a specific time that an investor must treat the replacement property as investment property before converting the property to a personal residence or vacation home. However, the IRS issued a safe harbor ruling in Revenue Procedure 2008-16 which states that a replacement property will be recognized as investment property as long as (i) the taxpayer owns the property for at least 24 months and rents the property for at least 14 days for a fair market rental value in each twelve month period, and (ii) the taxpayer’s personal use is limited to the greater of 14 days or 10% of the amount of time the property is rented during a 12 month period. An added benefit is that once the Cape Cod or Florida property has been converted to a principal residence, IRC Section 121 allows a taxpayer to exclude up to $250,000 of gain ($500,000 if married and filing jointly) from the sale or exchange of a principal residence, provided the principal residence has been owned and used as such for an aggregate of two or more years during a five year period ending on the date of the sale, subject to certain limitations. The limitations on the exclusion of capital gains taxes include: (i) taxpayer must hold the property for at least five years, and (ii) the exclusion does not apply to the portion of the gain where the property was not used as a principal residence. For example, if a property is acquired in a 1031 exchange, and the property is rented out for two years, then the taxpayer lives in the property for three years prior to selling, then 3/5ths of the gain is eligible for the exclusion. There are many technical tax and legal rules that must be followed in order to achieve tax deferral treatment under Section 1031. Let us help you plan your next exchange! 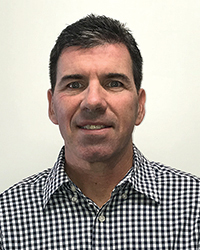 Brendan Greene, Esq., is a partner in the law firm McCue, Lee & Greene, LLP and a principal in Greater Boston Exchange Company, LLC, Boston.